What is the best Tuscan wine? Broadly speaking, all Tuscan wines are worth a tasting. Likewise, the places where they are produced are worth a visit – they are rich in nature, beautiful panoramas and pleasant villages. Here, we will tell you about three varieties among the best Tuscan wines. To have the chance to taste them gets you in touch with ancient and refined flavours, and gives you the key to discover some of the most magical corners in Tuscany. Chianti wine is doubtless the most popular red Tuscan wine abroad, especially in the US. Its name is due to the area where its vineyards grow, which mainly is the area between Florence and Siena – a wonderful landscape with rolling hills as far as the eye can see. Despite Chianti wine is also cultivated on the hills near Pisa, Arezzo and Pistoia, its finest version, which is called Chianti Classico, takes shape in this exact countryside between Florence and Siena. Apart from its fascinating panoramas, this is also one of the oldest winemaking areas in Tuscany and it claims to have the best grapes in the region. Chianti Classico requires a longer ageing process than Chianti, and this is why it is more refined. It is made with a very high percentage of Sangiovese grapes, combined with other red grapes like Cabernet Sauvignon and Merlot. Its taste is very dry, perfect to be paired with local game meat, mature cheese and cold cuts, as mentioned in our article about the things you may ask yourself before having a Chianti wine tasting. The Sassicaia is another variety of red wine considered as one of the best Tuscan wines in the world. 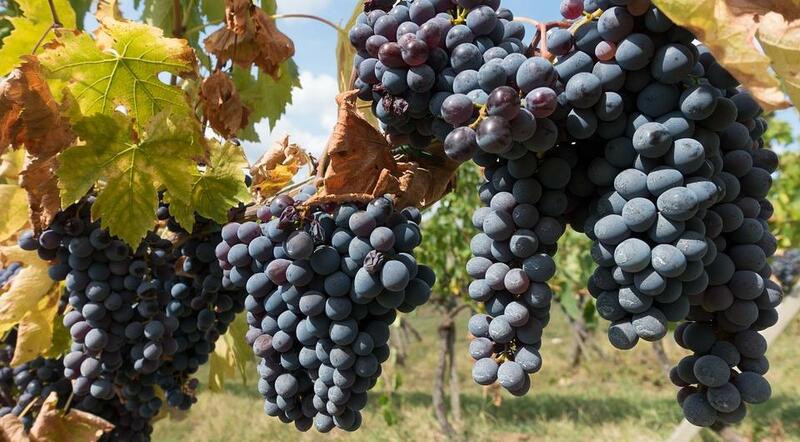 It is one of the so-called “Super Tuscans” – a group of experimental high-quality products , the result of the experiment led by Tuscan wine producers by introducing foreign grapes. Today, the “Super Tuscan” category has not yet been recognized within the Italian wine classification system. However, these varieties of wine have already conquered the opinion of the enthusiasts. The Sassicaia wine is produced in a delimited area near Bolgheri, an off-the-beaten-paths pleasant village in the countryside near the Thyrrenian Sea, famous for its fascinating cypress-lined roads. This sought-after wine is made from different French grapes, some of which are hailing from the well-known Bordeaux area, and finished in French barriques. Its color is an intense ruby red, while its taste is dry and harmonious at the same time. As many Tuscan red wines, it pairs with intensely flavoured food, such as wild game, porcini mushrooms, and strong cheese – some of the best Tuscan delicacies. It is plain that, in Tuscany, any red wine enthusiasts can meet their match for sure. However, also white wine fans can have a little treat. Even though Tuscany is mainly home to red wines, we can count some good whites among the best Tuscan wines – one of them is called Vernaccia. Vernaccia is a refined white wine, cultivated and produced in a very small area in the municipality of San Gimignano. Its color is a soft, light yellow, while its smell is sharp, fruity, and floral. Its taste is fresh and agreeable, with a slightly bitter aftertaste. Thanks to its features, it pairs perfectly with fish dishes, appetizers, and white meat. As well as for Chianti Classico and Sassicaia, the surroundings where it is produced are also unique and astounding. 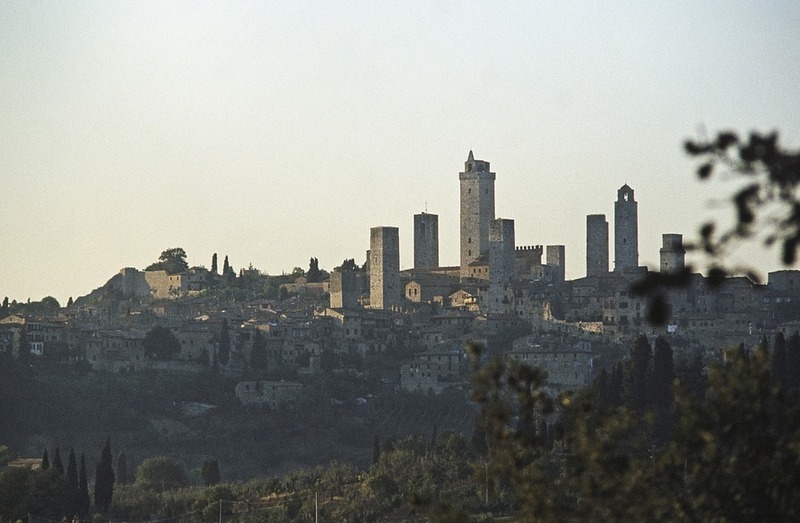 Indeed, San Gimignano is well-known for its 14 ancient towers, thanks to which the village has been nicknamed “The Renaissance Manhattan” and listed in the UNESCO World Heritage List. Just like San Gimignano, its land of origin, the Vernaccia wine has its roots deep in the past too. It will suffice to know that Dante mentions it in its Divine Comedy and that Lorenzo The Magnificent seemed to be a fan too!